If you thought Kristen Bell was the kind of mum that didn’t carry teeny parasites in her digestive system, think again! Who even knew, right? Stars. They’re just like us! Kirsten Bell – who is married to actor Dax Shephard and mum to five-year-old Lincoln and three-year-old Delta – is the latest high-profile mum to prove that even famous mamas have to cope with kids who are a) reliably unimpressed by their parents b) a wee bit grotty and c) obsessed with fancy dress. “I love my kids more than life itself,” Kristen told You Magazine, “but they are also disgusting, feral creatures who live in my home. My daughter gave me pinworms recently.” #WhoKnew?! 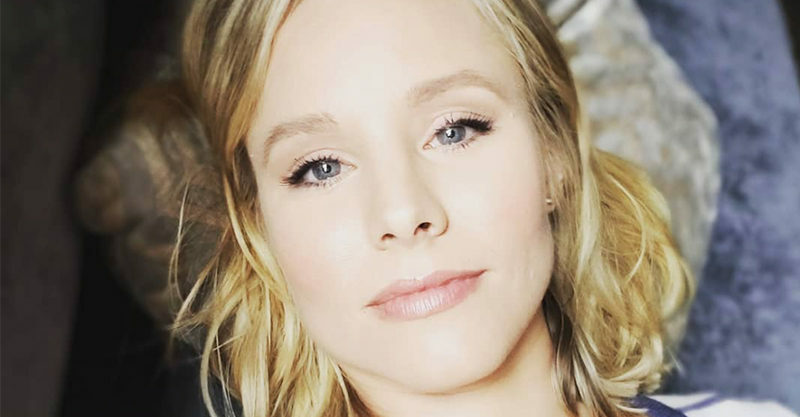 Is this “crazy” thing Kristen Bell does to get her kids to sleep really OK? Pinworms aside, Kristen has achieved peak preschooler cool, voicing Princess Anna in the Frozen franchises. It seems her daughters are not the least bit interested in their mum’s brilliant career, though. That said, they’re interested enough to know how animations work – but not so invested as to give their mum props for her own cartoon roles. #dammit! Kristen admitted she and Dax approached mum and dad life in a similar fashion – liberal with a twist of firm. Today I woke up to breakfast in bed, immediately was given a side pony, and handed this beautiful birthday note. THIS is the good place!!! The couple aren’t planning to have any more kids, as Dax underwent a vasectomy a couple of years ago. They’re more than stoked with their gang of four.